Home › Tools › Is Affiliate Marketing A Waste Of Time? 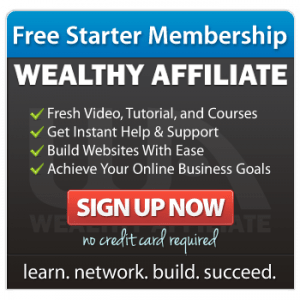 When most people go online and look for a way to earn money online, they most likely at one time or another will stumble upon affiliate marketing. Some know what affiliate marketing is and some do not. 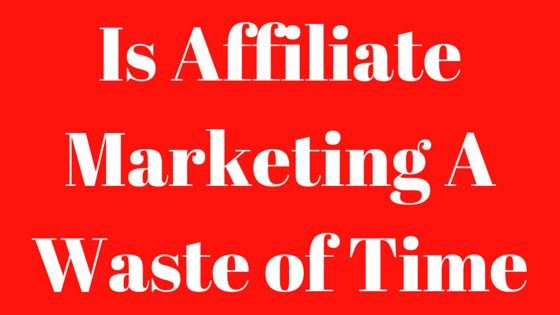 People will often wonder, is affiliate marketing a waste of time? Some people that have tried Affiliate marketing will say it’s a waste of time. So in order to clear up this puddle of mud, in this post, I will describe what affiliate marketing is and show what is required to have a real-world understanding to be successful in affiliate marketing, so it is not a waste of time for you. Well, in some cases, I guess it could be a waste of time. If your not committed to it and quit before you allowed enough time to incur or fail to put in the required work, yes, it will be a waste of time for you. The #1 problem with most people who start doing affiliate marketing, is they quit before seeing results. The reasons could be many things, no positive reinforcement, failure to implement proper SEO, lack of knowledge, unrealistic expectations, little patience. These all factor into whether or not most people stick with it. Simply put, affiliate marketing is having a website that promotes other people’s or businesses products to sell. When these products sell you make a percentage of the profit. Just about any product out there, you could potentially promote. One of the great features of affiliate marketing is not having to come up with a product to sell, and you just need a platform, i.e. a website(s) to successfully market product from. 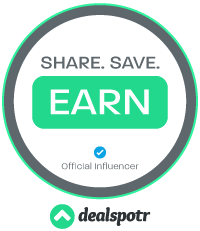 A couple of notes here on choosing products to affiliate market, I highly recommend that in choosing a product that you enjoy using, are familiar with, and a product you feel comfortable standing behind it. It’s a lot easier to promote what you know and enjoy using than to make up information on products. This can also be called, honest affiliate marketing. I believe in being honest, and I suggest you do the same. So, write down products or services you enjoy, and most likely there is somewhere an affiliate program for that product. The secret that all affiliate “experts” don’t want to divulge is… that affiliate marketing takes time. They keep the cards hidden, sometimes for a good reason too, if you don’t know how long the race is you might not quit once you started. As opposed to knowing how long the race is and never starting the race. It’s a slow process at first, and it’s harder than people think. Competition can be fierce, knowledge needs to be gained, and work must be done. I remember when I first started, I wonder how long this was going to take, but just said to myself, “just keep going, don’t worry about that right now“. I did get to a point in time when I said I need to know how long this is supposed to take and started investigating. But in this case, time is the gatekeeper for most people’s patience. Let’s be honest here, and most people lack the patience and fortitude past a few months of endless, tireless work. This is why people come away from Affiliate marketing and say, “It’s a waste of time”. But what you need to do is change your perspective on time and turn it to your favor. A slight shift in perspective is all that is required, to transform the way you perceive something. Most scams online promise riches right away, while in reality, the deliver nothing, while, affiliate marketing takes time to see sales and traffic after months or even years of work. Yeppers, sometimes years. Think of your business, and it is a business btw, as a tree. A simple, humble tree, growing slowly and establishing its foundation and it’s space in the world, but day by day, growing slowly and solidly. Each day it is a little bit stronger and bigger. Time is on our side here. This perception has greatly help me, keeping me motivated and grounded. Things that are built slowly usually are made better than things that are built fast and haphazardly. Thus they remain standing when trouble times arrive. We all fail at some point in life, and even successful people have failed multiple times. It’s the process of getting to where we are going and to our next success. So at least try and don’t be discouraged by failure. Your success is right around the corner, and it is the worst time to stop trying and give up. As the great Warren Buffett says, “Be fearful when others are greedy and greedy when others are fearful.” This for me points me to do the opposite of scams that promise quick money, and instead look for the slower way to make money while building a solid base. Most people will not wait that long to see profits. Even me, I catch myself looking at a new program and being bedazzled by the lure of quick money. It must be instilled in us, to jump on the quick buck. Well, you always get that question, and you almost always get the same response six months to a year or longer. There are also many factors involved, and if you don’t have most of these other factors working in your favor, you will not succeed. Not everyone will be successful, but also not everyone will fail either, as I like to think the latter. There are no guarantees in life and surely no guarantees in affiliate marketing. The cold hard truth. But this is the point when you do a gut check, first, to see if you got any, guts that is, and second to see if your heart is truly committed to finding a better life for yourself. To take the plunge and risk your time and money. These are questions we must answer to ourselves before we continue. And only to ourselves. You might think, working from home and for yourself sounds pretty freaking cool. But, there are skills and work involved in affiliate marketing. To better determine if affiliate marketing is well suited to you here are some requirements you might need. Patient. Need to be really honest with yourself here. Not seeing any money come in for up to a year or longer. No financial reward for a long time. You’re going to be writing. Scratch that, you are going to be writing a lot. So you better enjoy writing cause you’ll be doing it more than you know. Are you comfortable making videos? You’ll be making and sharing your videos too. Are you comfortable promoting through social media sites? I couldn’t even imagine learning all this information that entails what is affiliate marketing and doing all the work without any help. There is just too much to learn and know. I didn’t learn about affiliate marketing by studying by myself, I had a shortcut, an easier path. A structured all-encompassing step-by-step learning platform, with an unimaginable helpful community and owners, and that has been around since 2005. Helping people succeed in affiliate marketing. I am no internet wiz kid, and it got me up and running and making money. I haven’t found one company that even comes close to offer what Wealthy Affiliate offers. 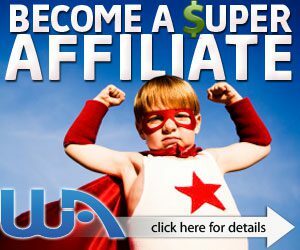 So if you want a shortcut to affiliate marketing, which is already a difficult path to take, I suggest you sign up now. I hope that I shed new light on whether or not is affiliate marketing a waste of time. As the answers are never so black and white, there are numerous variables, but generally speaking, if you stick with it long enough, it is not a waste of time. Just run through and be honest with your personality, skill set, and ambition. For only, you can truly answer that question. Do you have any questions which I did not address, I would love the opportunity to try and answer them. So, please do so below. Thanks! ‹ Is Blog Ninja A Scam? OMG people aren’t still peddling that Wealthy Affiliate crap surely ? Yes, I proudly promote Wealthy Affiliate, I don’t peddle anything. Des, it is not crap, it absolutely works. I make money from what they taught and teach me monthly. I have worked second jobs for years, and what I have learned at Wealthy Affiliate has replace me having to have a second job and I have only been using WA for a little more than a year and I plan on being here for many years to come. I worked two jobs while building two websites, Wealthy Affiliate allowed me to quit my other job and I love sharing and promoting Wealthy Affiliate. I highly recommend it to anyone. WHY, because it works! I find your comment ignorant and rash. I question your experience with Wealthy Affiliate, as either having no experience using it or having tried it and gave up on it a month in. It takes work and I am willing to work for myself. It takes a lot of work and dedication and I wouldn’t have it any other way. I was skeptical at first but I did my DD (due diligence) and jump in with both feet afterwards. Maybe my comments won’t change your mind, but I have spent a lot time working on my business from what I learned at WA and I can totally disagree with you. My proof…my website, which you visited, your proof, only your opinion. You are right Dan, I have read from others marketers that WA is very highly recommended, it’s not easy to start making money as affiliate marketer but the person should be more patient and forget making money in the first months and focusing only how to get knowledge. Nabil, Thanks for the kind words, it’s nice to hear a compliment on a day like today. You are wise Nabil, you already know most of affiliate marketing secrets. Hard work and patience and doing what you love are keys to success for sure. Lots of moments of self doubt creep in, just push through this with working and the most positive attitude you can muster. Let me know if you would want to join, no better training out there.